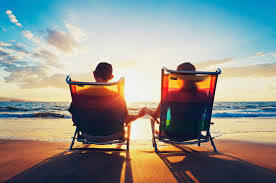 Imagine spending your “golden years” relaxing on a beach, drink in hand, not a care in the world. The reality is this will only last for a week or two, before you have to go back to work! If you don’t want to work until the day you die, it’s a good idea to begin planning for retirement early, starting today. Studies have shown that the happiest retirees are those who have planned and saved the longest. No matter how much they’ve saved, the early planners are the ones who escape the anxiety and regret of not having been more proactive. One reason that experts recommend doing retirement planning early is that there’s more to cover. Many Americans are retiring at a consistent age, even as life expectancy increases.Without the right kinds of savings, those years can seem to stretch out as you near retirement. On average, people spend fifteen to twenty years in retirement. The longer you wait to start planning and saving, the greater the risk that you’ll be struggling when you should be unwinding. Start saving early. Before we begin discussing how to plan a successful retirement, we need to understand why we need to take our retirement into our own hands in the first place. You may be surprised to learn that the key components of retirement planning run contrary to popular belief about the best way to save for the future. Further, proper implementation of those key components is essential in guaranteeing a financially secure retirement. 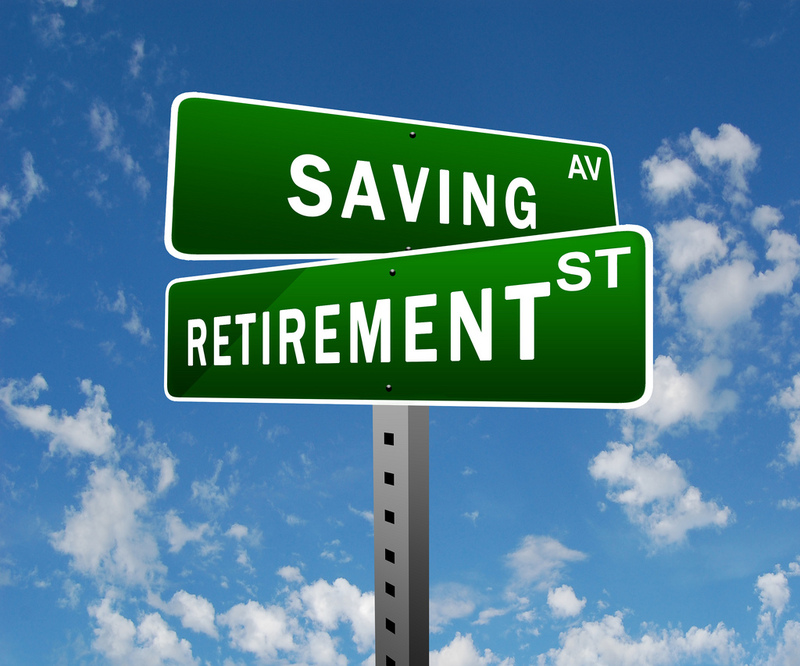 This involves looking at each possible source of retirement income for your specific situation. First off, we need to be upfront about the prospects of government-sponsored retirement – they’re not very good. As we all know, the developed world’s populations are continuing to age, with fewer and fewer working-age people remaining to contribute to social security systems. It’s important to realize that social security benefits will never provide you with a financially adequate retirement. By definition, social security programs are intended to provide a basic safety net – a bare minimum standard of living for your old age. At the same time, greater and greater burdens are being placed on the system, as more and more people retire and, due to advances in health care, are living longer than ever before. This “double-whammy” effect holds the potential to put significant strains on the system and could leave governments with no other viable option but to reduce social security benefits or suspend them altogether for all but the poorest of the poor. Private pension plans aren’t immune to shortcomings either. Corporate collapses, such as the high-profile bankruptcy of Enron, can result in your employer-sponsored stock holdings being wiped out in the blink of an eye. In addition, many employers who used to offer defined-benefit plans are now shifting to defined-contribution plans because of the increased liability and expenses that are associated with defined-benefit plans, thus increasing the uncertainty of a financially secure retirement for many.These uncertainties have transferred the financing of retirement from employers and the government to individuals, leaving them with no choice but to take their retirement planning into their own hands. Old age typically brings medical problems and increased healthcare expenses. Without your own nest egg, living out your golden years in comfort while also covering your medical expenses may turn out to be a burden too large to bear – especially if your health (or that of your loved ones) starts to deteriorate. As such, to prevent any unforeseen illness from wiping out your retirement savings, you may want to consider obtaining insurance, such as medical and long-term care insurance (LTC), to finance any health care needs that may arise. It’s also good to consider a Power of Attorney for you and your spouse now to be prepared for any what if questions that may arise. Financial advisors, financial journalists, and other professionals are all telling us it’s never too early to start planning for retirement. Part of your retirement savings may help contribute to your children or grandchildren’s lives, be it through financing their education, passing on a portion of your nest egg or simply keeping sentimental assets, such as land or real estate, within the family. Without a well-planned retirement nest egg, you may be forced to liquidate your assets in order to cover your expenses during your retirement years. This could prevent you from leaving a financial legacy for your loved ones, or worse, cause you to become a financial burden on your family in your old age. So Why Are People Waiting? For some of us, retirement planning is abstract. It seems like a long way away, while a lot of other things fight for our daily attention. With so many more pressing financial issues, such as monthly bills, we tend to put off long-term planning for too long. Some also pass on early retirement planning because of instability. The growing national debt, and volatile action in Washington and on Wall Street scare us, and make us cautious about making financial decisions, especially long-term ones. But that’s just the opposite of what we should do-these things mean big trouble for those who don’t store up their own nest egg against future volatility! Setting specific goals should be at the heart of your overall retirement planning strategy. That means figuring out when you want to retire and what kind of lifestyle you expect to maintain in your golden years. Those answers will, in turn, help you determine how much money you’ll need at retirement. One rule of thumb says that in each year of retirement you’ll need 70 percent of your annual pre-retirement income. Of course, your financial needs may be more or less, depending upon your individual circumstances. While you can’t predict the rate of inflation or the return on your retirement investments over the next several years, a financial planning professional can help you make some projections of how these factors will affect your retirement plan. Most of us find it easier to earn and spend money than to save it. Planning and saving for retirement too often takes a back seat to other priorities. Why is procrastination the rule, rather than the exception when it comes to retirement planning? Many think they’re too busy to find time to plan for retirement; they’re too young to worry about retirement; and retirement planning is too complicated. If you find yourself making similar excuses for avoiding some serious thinking about retirement planning, it’s time to change your tune. Your investment strategy should be shaped by your age, time frame, tolerance for risk, and personal investment philosophy. Remember that time is your ally. By starting to save sooner rather than later, you have the potential to generate a larger nest egg down the road due to the power of compounding investment returns. Basically, your investment will grow over time because of interest and contributions that are added to it. A well-balanced, diversified portfolio of stocks, bonds and other investment vehicles is more likely to help you toward your retirement planning goals. Despite the fluctuations of the stock market, many investment advisers adhere to the maxim that stocks are a good choice for long-term investments. If you don’t have the stomach for buying individual stocks and bonds outright, consider mutual funds. Mutual funds offer a combination of professional management expertise plus ready-made diversification. With several thousand funds from which to choose, there are funds for practically every conceivable investment objective. Talk with a financial advisor about the best options for your portfolio. Setting up a retirement planning strategy should be a top priority. More than ever, it’s up to you to achieve your retirement goals. Speak to a qualified financial planner about the appropriate way to build your nest egg and to learn which investment options make the most sense for you. Don’t wait for the future to fix itself: take a look NOW at what you can do to secure your own financial solvency down the road. As we know, life tends to throw us a curveball every now and then. Unforeseen illnesses, the financial needs of your dependents, and the uncertainty of social security and pension systems are but a few of the factors at play. Regardless of the challenges faced throughout your life, a secure nest egg will do wonders for helping you cope. Financial hiccups can be smoothed out over the long term, provided that they don’t derail your financial plan in the short term, and there is much to be said for the peace of mind that a sizable nest egg can provide.